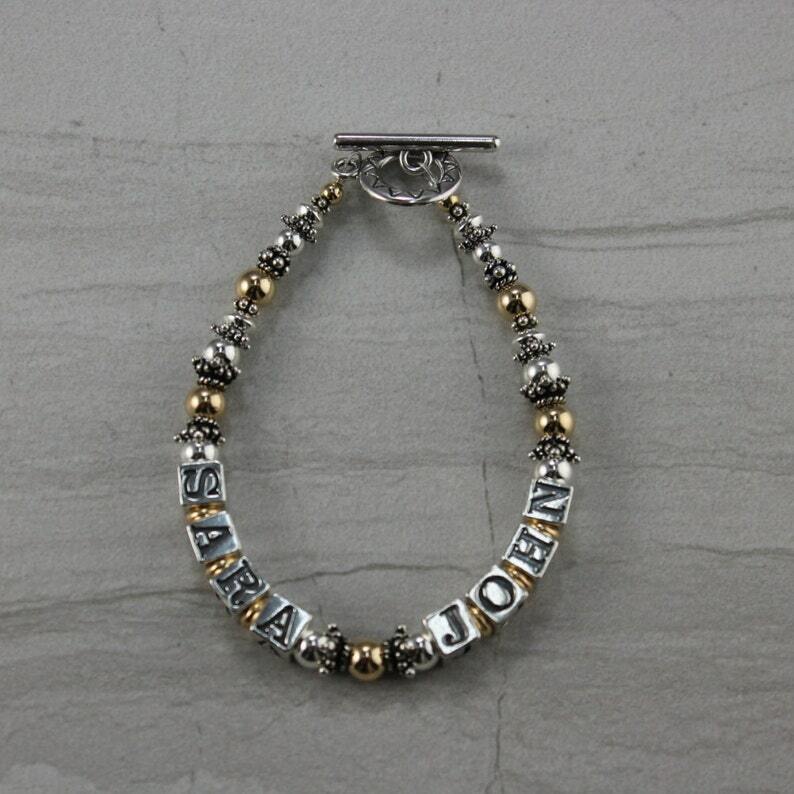 This custom sterling silver and 14KT Gold Filled bracelet is personalized with the names of children, grandchildren or pets. Beautiful two tone classic tailoring on this one. Perfect for a mother with two children, or if you would like to have both your child's first and middle name on the bracelet. Sized according to wrist size. Perfect keepsake that will be cherished forever. $45 per strand (regularly $60 per strand). Please message us names. Message us any questions.